"Elon Musk is the P.T. Barnum of the Auto Industry"
-Paul Brian during a Radio interview this morning. 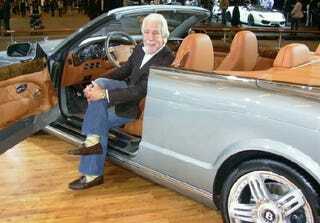 Former Director of Communications and spokesman for the Chicago Automobile Trade Association (CATA). His interview was cut short this morning due to bad cell service in Detroit. If anyone there finds him maybe you can ask what exactly he meant?